Here’s my 2nd set of Cu-Poche Madoka Kaname. This is also published in Kotobukiya page along with the first set yesterday. Thank you again Kotobukiya for sending this to me. Most of the props used are handmade, others are made by Re-ment and Sylvannian Families. Thanks to my brother for helping me out with the furniture. I wouldn’t have completed this on time if it’s not for him. 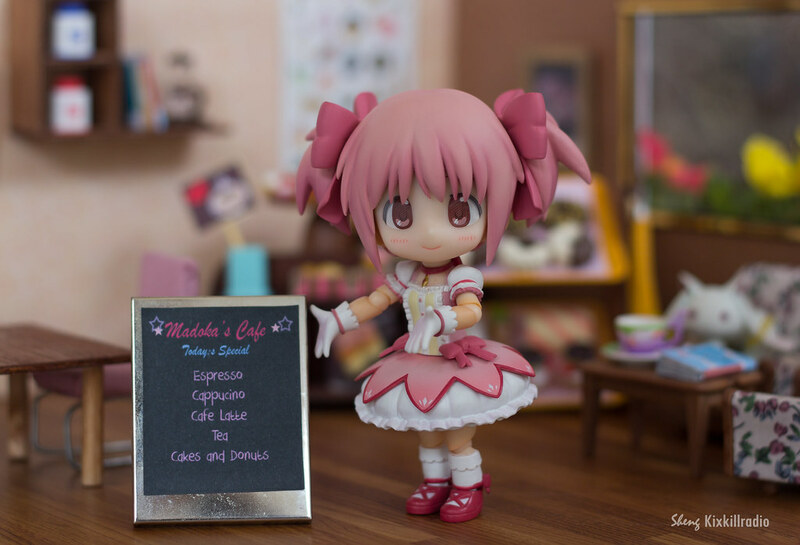 I didn’t think of a story, but I just wanted to show you what Madoka is up to in her cafe. 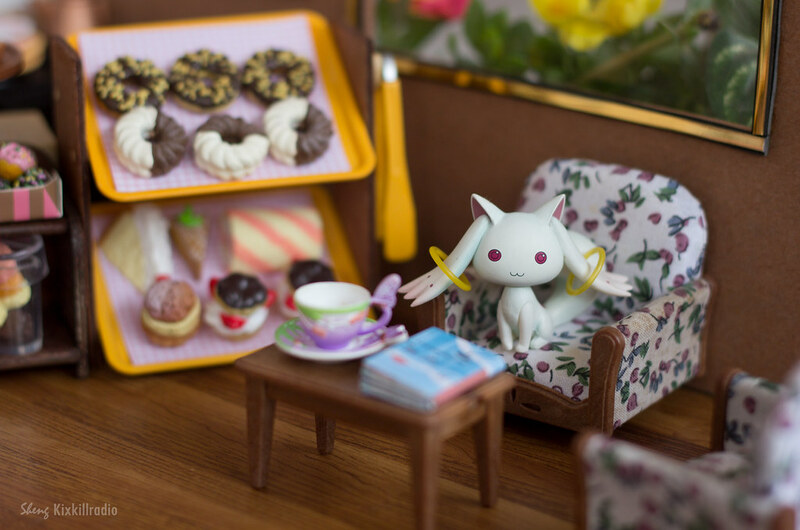 Kyubey helps Madoka in the cafe too. Looks like a new customer arrived at the cafe. 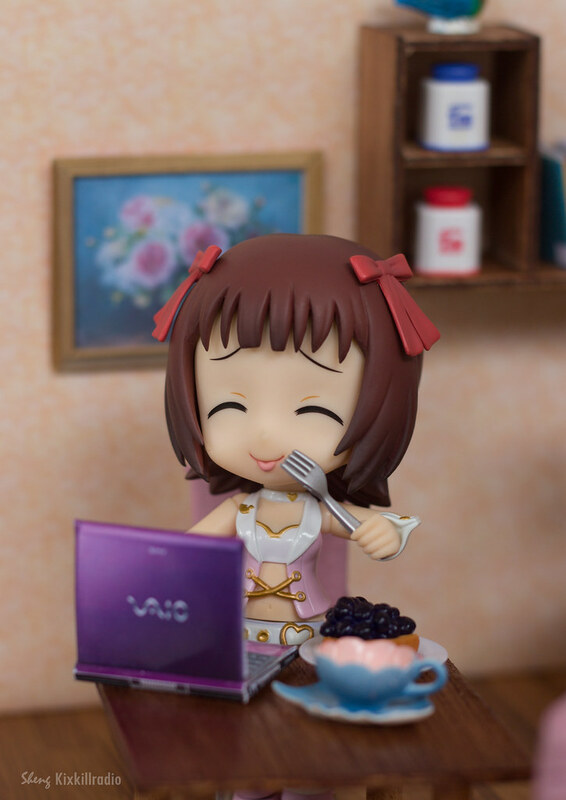 Wow and her first customer is iDOLM@STER Haruka Amami. 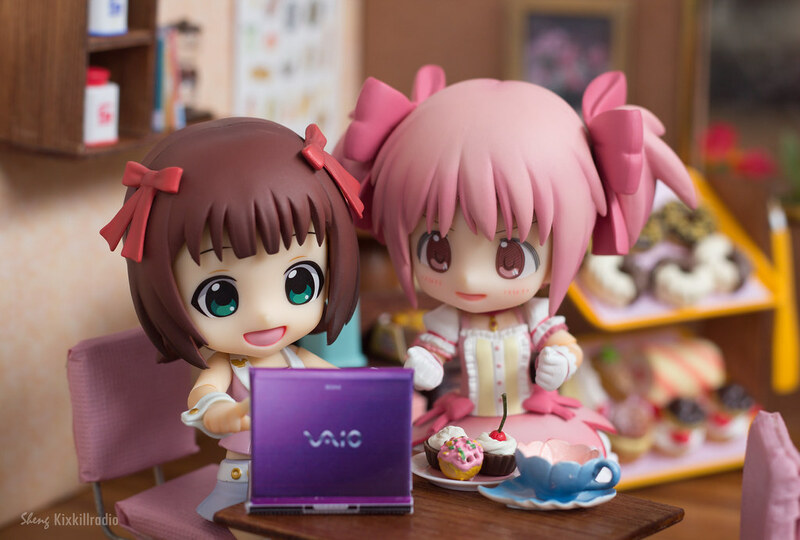 Madoka showing Haruka their special menu. 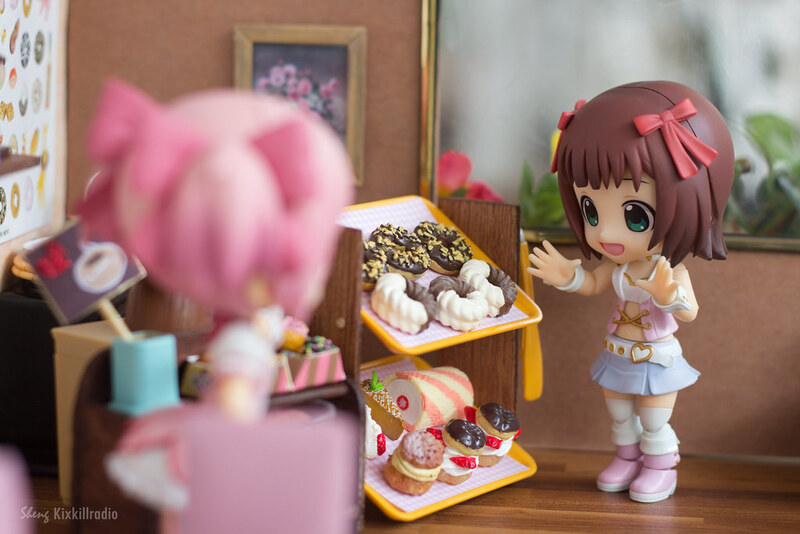 Haruka is delighted to see all the sweets. 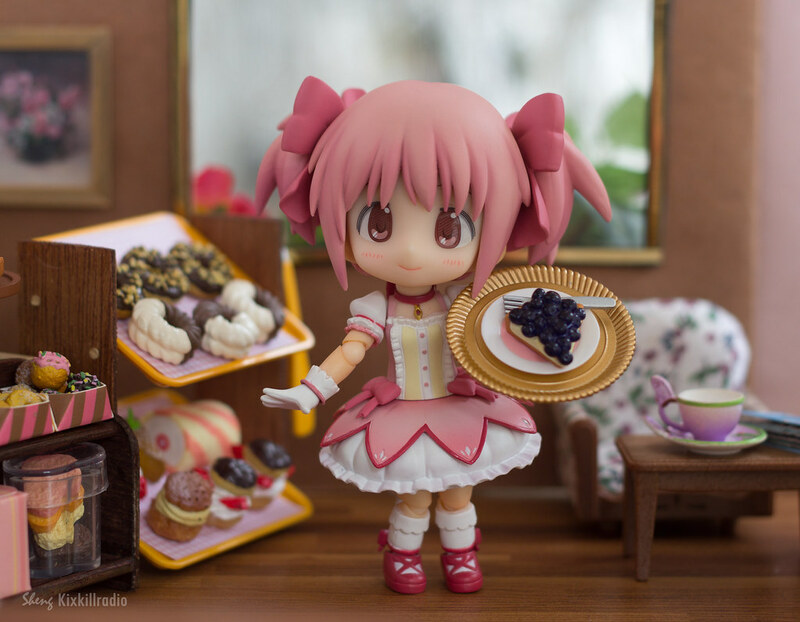 Here’s what Madoka looks like when serving the order. And Haruka loves the cake. I really love this face of Haruka. Is she nervous? 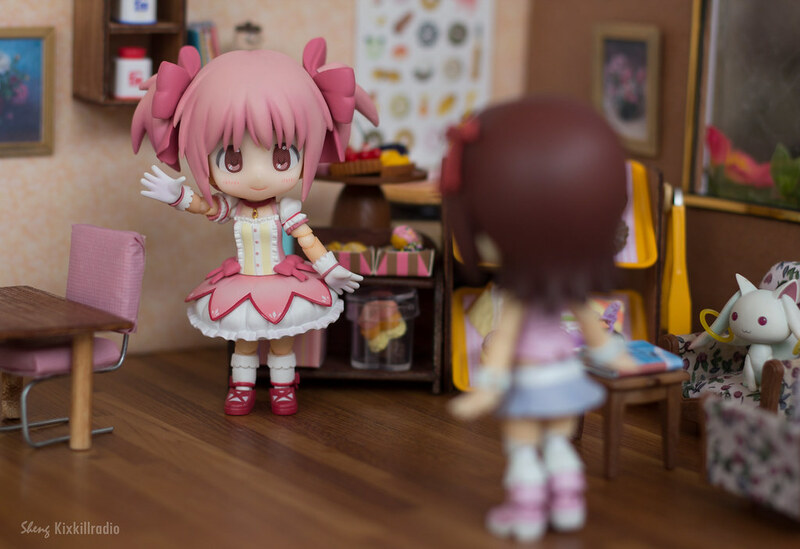 Be careful Madoka. 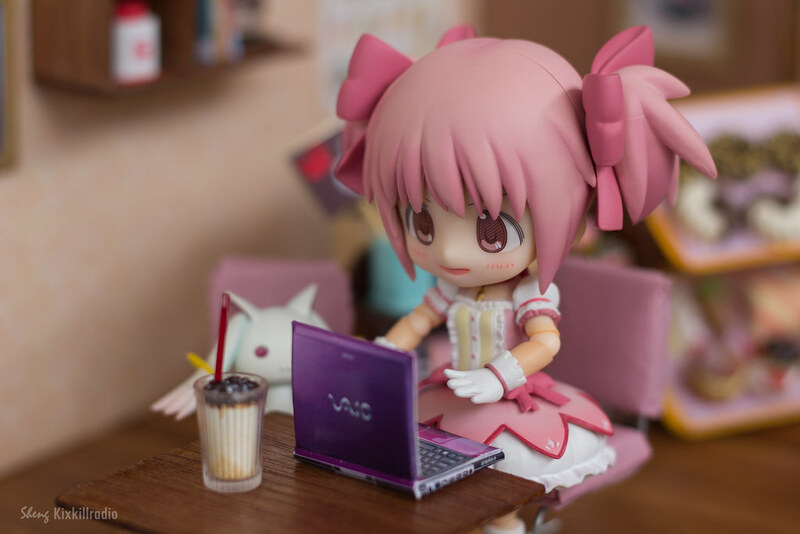 What do you think Madoka is up to while waiting for customers? You bet, she loves to fool around with Kyubey. Browsing the Internet, watching anime and updating Facebook status. 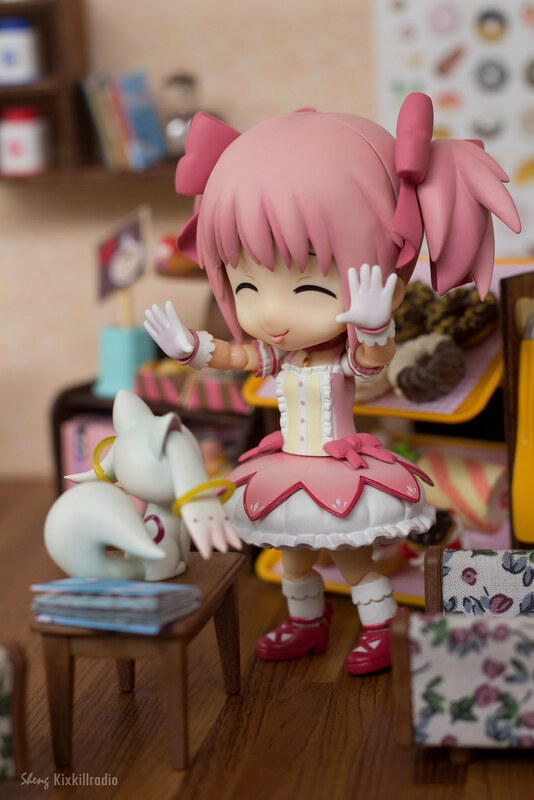 I hope you enjoy these photos of Madoka and Haruka. I am currently working on my next figure photography project which is about Kirino. Watch out for it. Haruka, what are you doing up there? I love its multiple articulation, I couldn’t sit her down though. Overall, she’s such an amazing figure. Damn! The articulation is awesome… need to get me a cu poche.. perfect for a blog mascot or something.. =3 great photos and setup as always~! Oh my god you will murder me with the cuteness one day! My heart can’t take it! Did you make the laptop? If so, how?? ?